Robert Fuller’s practice focuses on counseling business clients and resolving business disputes through litigation, negotiation or ADR mechanisms. He has experience in corporate, financial products, banking, partnership, construction, fiduciary, securities, tax and general commercial matters. 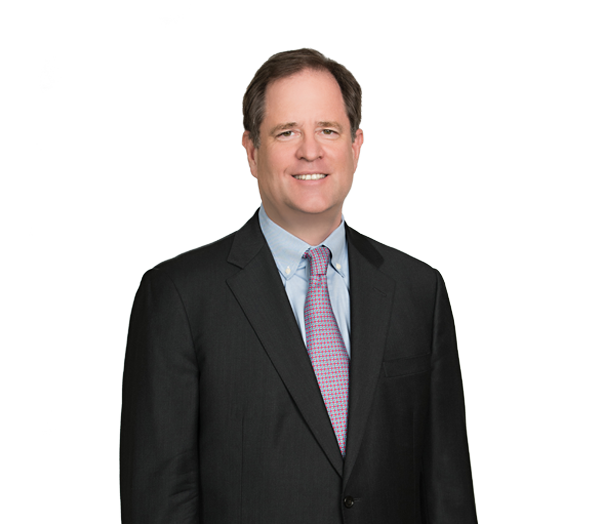 Robert also has experience with governmental investigations and has coordinated the defense of a number of class actions and putative class actions. In addition, he routinely provides legal counsel to a collegiate sports conference in both litigation and general business matters. Represents the Southeastern Conference in defending putative class actions (MDL centralization in Oakland, California) filed by present and former student-athletes challenging the validity of NCAA grant-in-aid rules and claiming a right to be paid for playing in televised games. Represents the Southeastern Conference in 11 "single-school, single-sport" putative class actions (MDL centralization in Illinois) filed by former football student-athletes related to concussions in college sports. Represented a major financial institution that arranged multiple financings for a defunct entity in defending suits in New York, Los Angeles and Pittsburgh filed by bondholders, senior secured lenders, a bond trustee and a liquidating trustee in bankruptcy. Represents two different hospital systems in defending a putative class action alleging systemic patient overcharges. Represented Wachovia in the Wachovia/Wells Fargo merger litigation. Represented First Union in the First Union/Wachovia/Sun Trust merger litigation. Represented lenders in various matters arising from the "credit crunch" of 2007-08, including litigation concerning the obligations associated with commitment letters. Defended several dozen related financial products lawsuits in various states on the East Coast, from New Jersey to Florida. Successfully defended putative class action seeking recovery for alleged defeasance overcharges. Represented numerous defendants in the typical litigation filed after every public company merger. Prevailed in a tax refund case in which the IRS challenged an alleged tax shelter for lack of economic substance. Litigated various fiduciary matters, including claims involving administration of trusts and estates. Represented the EPC contractor for a 62 MW Hydro Turbine Generator installed at the Rainbow Redevelopment Project in Great Falls, Montana, in litigation with the owner of the project concerning extra work, design, acceleration and other related claims. Represented the general contractor for a large Orlando, Florida, resort hotel project in litigation with the owner and several dozen subcontractors concerning delays, design defects and extra work claims. Robinson Bradshaw noted in AmLaw Daily article on "The Score: Robinson Bradshaw Gets Call for Project X"
Robinson Bradshaw Profiled in Greater Charlotte Biz article, "Respected and Distinguished Counsel"